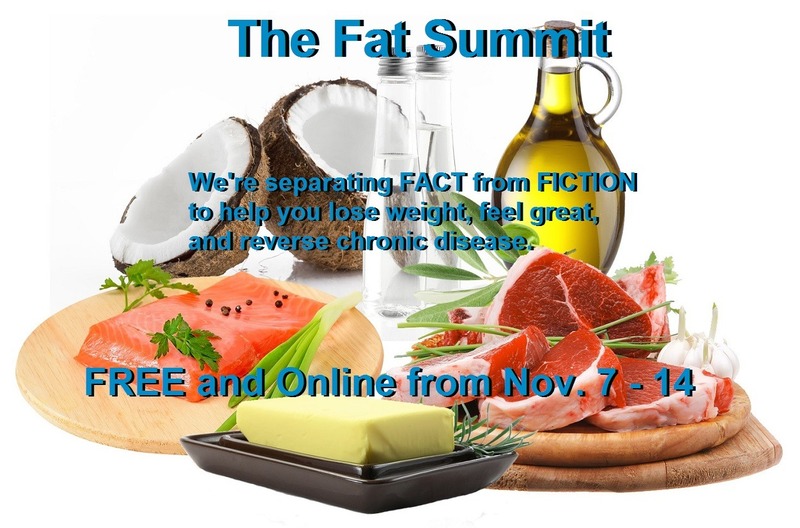 From November 7 - 14 Dr. Mark Hyman, Dr. Carrie Diulus, and over 30 of the world’s top experts on fats will participate in an online FREE summit dispeling the biggest MYTHS about fat, and revealing the latest research about how to eat, move and supplement your diet for improved health and longevity. Join these world-renowned experts, such as Aseem Malhotra, MD (one of Britain's top cardiologists), Amy Myers, MD, Gary Taubes (famous science author that challenged mainstream media's dogma on fats), Sayer Ji (Founder of GreenMedInfo.com), best-selling author Nina Teicholz, Peter Attia, MD, and dozens of others! There’s so much confusion and misinformation out there about FAT…both the fat on our bodies, and the fats we eat. You’ve been told that eating fat makes you fat — and increases your risk for heart disease and other chronic illnesses — but fat is NOT the enemy. The truth is: eating MORE FAT can help shut down cravings, accelerate weight loss and potentially prevent or reverse disease.